It’s never too soon to uncover and develop a child’s interests. 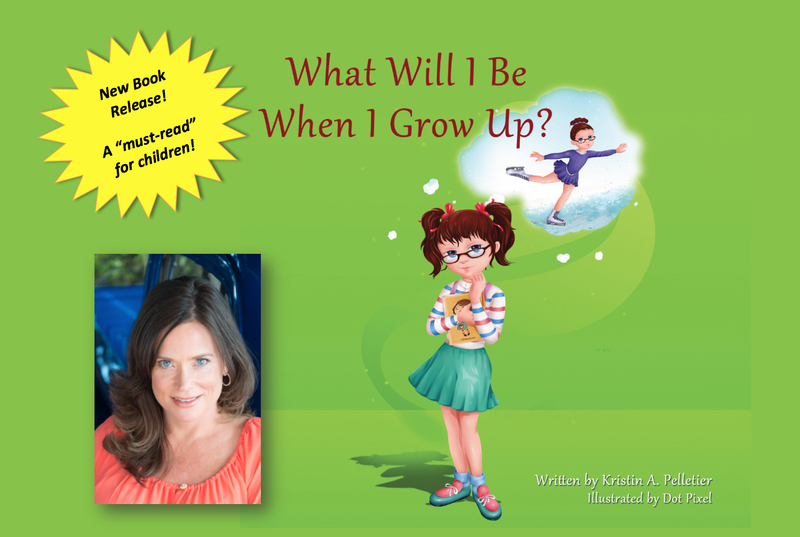 This engaging children’s book, the first in a series by Blue Truck® Media, Inc. president Kristin A. Pelletier, helps youngsters start the journey of self-discovery while encouraging their creative imagination and visualization skills. FORT LAUDERDALE, FL, SEPT. 30, 2016—A child’s active imagination and natural inquisitiveness are captured in a new children’s book released today. “What Will I Be When I Grow Up?” takes the young reader (recommended for ages 2 – 10) on an entertaining journey imagining life as an adult. 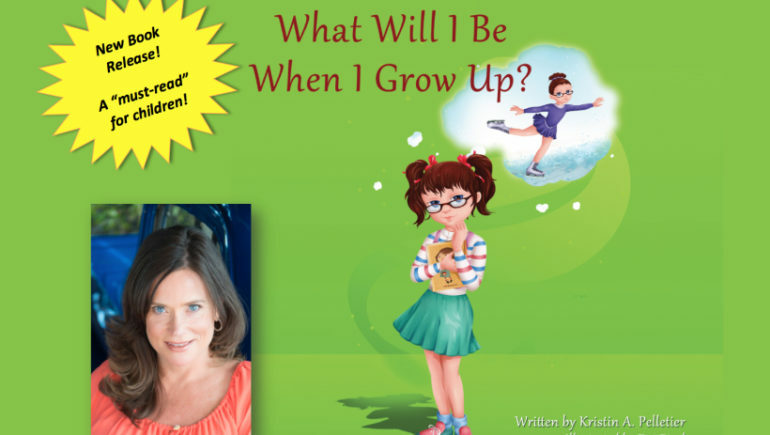 By talking with her parents about the possibilities and using her vivid imagination to see herself in a variety of jobs, the book’s main character, Krissy, explores some of the choices that lie ahead for her. In this colorful, rhyming picture book, she is encouraged to dream, use her imagination and follow her heart’s desire while her parents encourage her self-confidence. The book is available in print and ebook formats at a number of outlets, including Amazon, Apple iBooks. and BookBaby. Quantity wholesale orders are available by writing to: publishing@bluetruckmedia.com. Author Kristin A. Pelletier is an award-winning writer and executive producer with more than 25 years of experience in script-to-air television production. She is the president of Blue Truck Media, Inc., a company dedicated to providing quality, uplifting programming for families by driving inspiring stories into the forefront of the entertainment industry. She wrote this book with her own family’s children in mind. “I wanted to encourage them to dream about life’s possibilities and give them the confidence that my mother gave me,” she said. Ms. Pelletier took a page out of her own life to create Krissy, who is modeled after the author as a child. “The words ‘you can do or be anything you want to be’ really is something my mother told me as a child over and over again, that made me feel empowered and not afraid to try new things, to take chances and to dream big. It gave me confidence.” She also had her own daughter and father in mind as she created the characters, as well as her beloved grandparents, who are the inspiration behind her corporation Blue Truck Productions. Through her own series of children’s books, Ms. Pelletier seeks to inspire children of all ages to imagine and follow their dreams, while subtly imparting valuable life lessons and introducing concepts such as self-confidence, goal setting, positive thinking and visualization that will help children grow into self-assured, productive adults. Long-term expansion plans for the character and series include an animated cartoon.